Private Italian language lessons are an excellent way to learn Italian – at your pace and at your convenience. 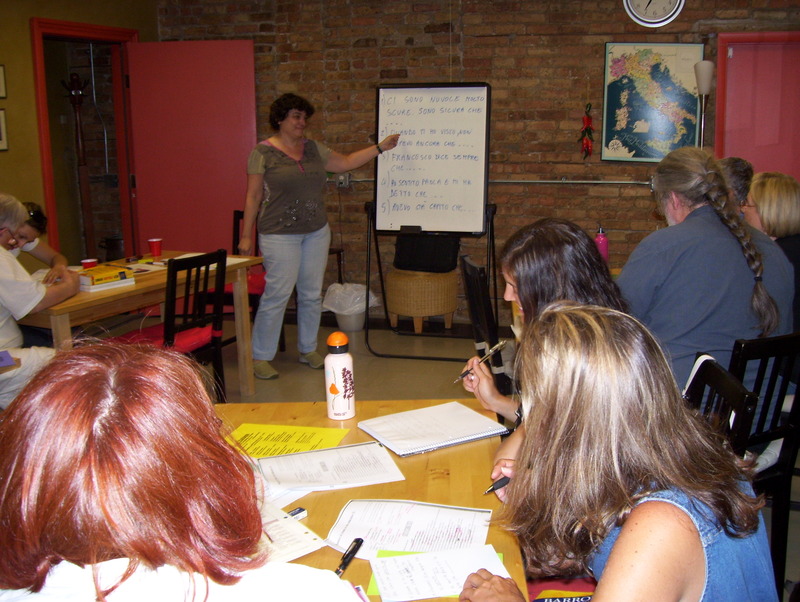 They are a wonderful complement to the convivial atmosphere of the group classes, or they can provide you with the flexibility to learn Italian on your own schedule. Any additional person is $30 per hour. Classes are held at Sentieri Italiani, 5430 N. Broadway, Chicago. Classes can be held at your location for an additional $200 per package. Lessons by phone or email are also available. Payment is due one week prior to the first lesson. Note: Cancellations to scheduled classes must be made 48 hours in advance.